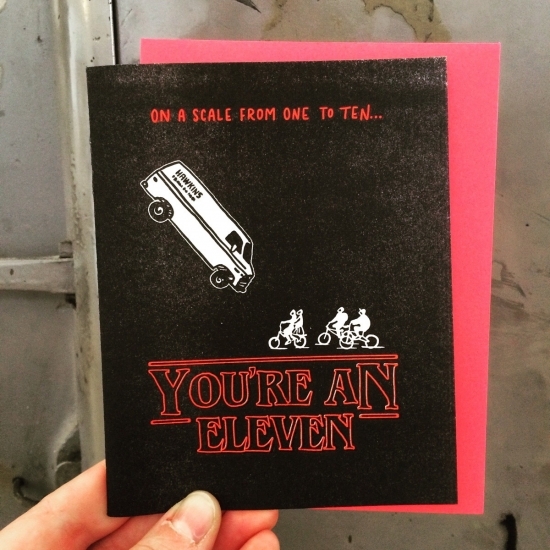 If you love the Netflix series Stranger Things - and you want to get on the good side of your very special friend - well, then this is the card for you! Letterpress printed and blank inside. A2 size with a neon red envelope.